Jelly Belly is dedicated to producing the top quality candies since 1869 when Gustav Goelitz in the age of 24, opens a candy business in Belleville, Illinois, and sets the family on its sweet destiny. 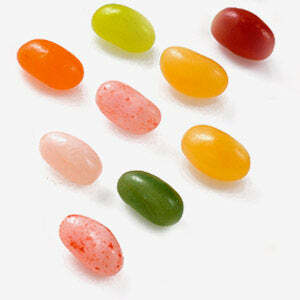 The famous and iconic jelly beans were born in 1976 with eight flavours and they have been a worldwide phenomenon ever since. Get the details on all 50 flavors of our most famous and colorful creation.